“His voice … cradle one’s self in this delicious sound to imagine how the songs of the heavenly cherubs expressed similar enchantments.” – Opera Magazine. 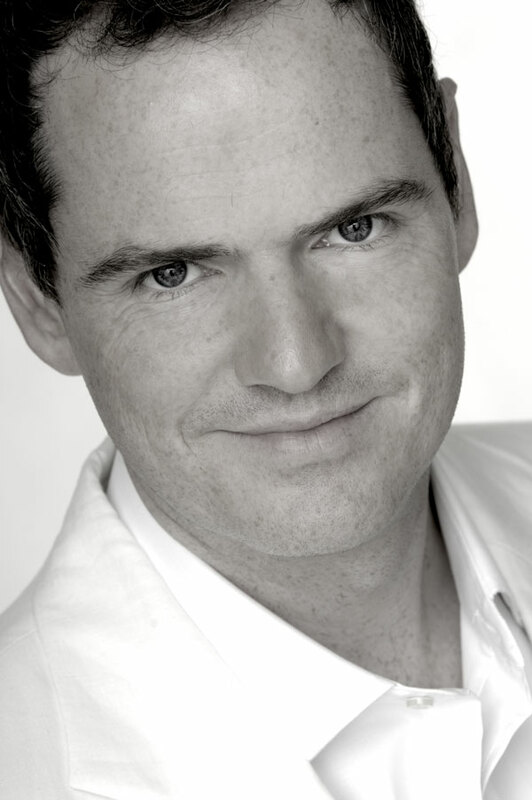 Born on St Cecilia’s day, the British counter-tenor Ryland Angel has built an international reputation on both the opera and concert stage, in repertoire ranging from the Baroque to new operatic commissions at major opera houses, concert halls and festivals throughout Europe and the USA. Recent operatic engagements include RADAMISTO at St. Louis Opera Theater, AGRIPPINA for New York City Opera, TOLOMEO with Muziektheater Transparant, SEMELE with Cologne Opera, RODELINDA at the Carre Theatre in Amsterdam, GIULIO CESARE IN EGITTO at Utah Opera and Opera Colerado, IL SANT ALESSIO on tour with Les Arts Florissants at the Lincoln Center New York, Cité de la Musique in Paris and the Barbican Centre in London, IL RITORNO D’ULISSE IN PATRIA for Toulouse Opera with Christophe Rousset (also in Paris and Lepizig), THEODORA with Graeme Jenkins at Dallas Opera, Handel’s La Resurezzione with Ars Lyrica, Monteverdi’s L’ORFEO with Boston Early Music Festival, the title role in Stradellas’ San Giovanni Battista at The Italian Academy in New York with Artek, Israel In Egypt with Princeton Glee Club, ACIS & GALATEA at Hobby Center Houston and Doux Mensonges at the Opéra National de Paris Palais Garnier with William Christie. He has also performed at English National Opera in London in Monteverdi’s L’ORFEO, Purcell’s THE FAIRY QUEEN and the world premiere of Gavin Bryars’ DOCTOR OX’S EXPERIMENT, the Gran Teatre del Liceu in Barcelona and Chatham Baroque The Fairy Queen, Flanders Opera Venus and Adonis, Opéra Comique, Paris Dido and Aeneas, Opéra Normandie Peri’s Euridice, Geneva Opera Ballet Comique De La Royne, Koblenz Orfeo ED EURIDICE, Karslruhe Handel Festival Amadigi, Spoleto Festival, Italy The Play of Daniel, and Florentine and Lyric Opera of Kansas City A Midsummer Night’s Dream. On the concert platform Ryland Angel has performed Carmina Burana at the Lincoln Center in New York and Southbank Centre in London, Bernstein’s Chichester Psalms with the San Antonio Symphony, St. John Passion with St. Thomas’ Church, Houston Bach Society and Boulder Bach Society, Messiah with the Händel and Haydn Society of Boston, St. Thomas’ Church, Worcester Chorus, Masterworks Chorus, Singapore Symphony Orchestra and Musica Sacra at Carnegie Hall. He has performed with many acclaimed conductors and early music ensembles including William Christie, Rene Jacobs, Ivor Bolton, Nicholas McGegan, Roy Goodman, Christophe Rousset, Philippe Herreweghe, Christophe Coin, Gabriel Garrido, Cantus Koln, Le Concert Spirituel, Le Parlement de Musique, the Ensemble of Early Music of New York, Ensemble La Fenice, Les Folies Françaises, and the Philharmonia Baroque of San Francisco.